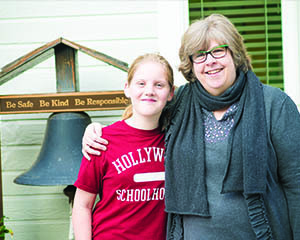 Students at Hollywood Schoolhouse actively shape our community in many ways. 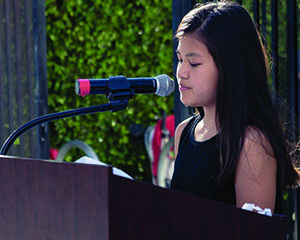 Our goal is for students to understand the importance of having their voices heard, making a mark on their community, and feeling valued. Specialized programs such as Student Council, our Buddy Program, Advisory, and Student Ambassadors offer students opportunities to develop their leadership skills all year long. 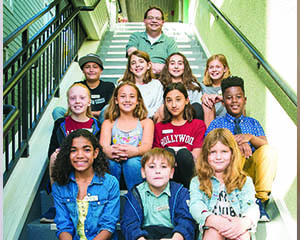 Beginning in 3rd Grade, students are invited to participate in Hollywood Schoolhouse’s Student Council. Students are the key element in making all council projects run smoothly, and understand that the activities they plan are only successful if they effectively encourage their classmates to participate. Officers are responsible for conducting regular Student Council meetings, and classroom representatives are responsible for informing their classmates about the meetings and bringing classroom concerns to the meetings for the group to address as a unified governing body. 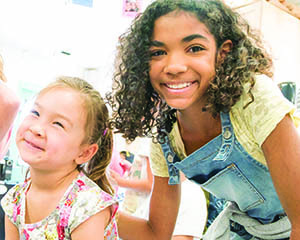 Hollywood Schoolhouse’s Buddy Program pairs older students with younger buddies and builds important cross-divisional relationships. Buddies come together weekly whether it is to read together, share what they have been learning, engage in special projects, or practice for an upcoming performance. During their 6th Grade year, students are placed in advisory groups led by our Administrators. Students have the special opportunity to meet monthly with their advisor and peers to talk about the secondary school application process, practice their interview skills, and deepen their relationship with our school leadership. Special guest speakers are also brought in to address students as a new and exciting element of their culminating year at the Schoolhouse. Hollywood Schoolhouse 5th and 6th Grade students are invited to apply as Student Ambassadors as a way to take on a leadership role in our community and assist with various school activities. From walking younger students into school from carpool in the morning, to answering questions from Prospective Parents at Admissions events, our ambassadors love sharing their Schoolhouse pride with all those around them.